Pilot episode can be a little tricky. It’s hard to set-up all you need to set-up in one episodes and shows frequently start off with a lower quality than they’re destined to achieve. I loved Daredevil’s first episode, and this is still true here. 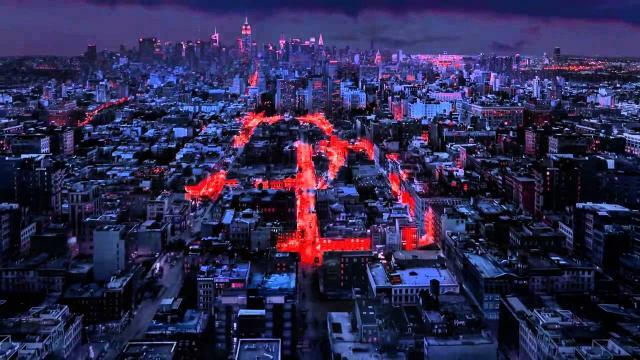 If the pilot demonstrated that this series is going to be one of the best Daredevil adaptation possible, this sophomore episode demonstrated this could be one of the best comic book adaptions ever. Yeah, Daredevil really is that good. I want to get straight to episode 3 so I’ll keep this review concise. This episode doesn’t do a whole lot in terms of moving the plot forward, the show is still setting the tone and introducing its characters. That might sound like a turnoff, but it truly isn’t. Matt Murdock is becoming such a compelling lead (as he always is) with every scene and the supporting players aid this show greatly in elevating the quality from great to amazing. We’re introduced to Rosario Dawson’s character, Claire Temple, here as she picks up Matt in a dumpster following a severe beating. The relationship that ensues has already developed into another compelling element of the show. Dawson is fantastic as Temple. She’s an extremely likeable presence and shares great chemistry with Matt. Even if that isn’t unique with such a well-acted and written show. Something I didn’t mention in my pilot review are the flashbacks. They were good in the pilot but this episode they were much more powerful. We got to know Jack Murdock better here as the writers took time to develop his relationship with Matt and establish just what kind of man Jack is. The bond between Jack and Matt Murdock is my favourite parent/child relationship in any comics and this show did it justice. The poignancy of Jack’s death is captured perfectly as we understand why he has to sacrifice himself for his son. This adds so many layers to Matt and also just made this episode all the more compelling. I mentioned that the action in the pilot was fantastic but I really had no idea just great it would move on to become. This episode climaxes with the best action sequence I have ever seen in any comic book adaptation ever. The production quality rivals that of a cinematic film, with choreography that should not be possible on T.V. In terms of action, Daredevil has transcended it’s genre with this episode, delivering a sequence that rivals the masterful one take from True Detective that won an Emmy for best directing. This will most likely be the greatest action sequence in this series, I have no clue how they could top it. After seeing the pilot episode, I knew this show was going to be special. Now, after seeing the sophomore episode, I think this series could be the best superhero series we’ve ever gotten. It has transcended the genre with its action and shown us that Marvel is capable of diversity with its tone. This series is already a story to behold and this is just the second episode.